This is a mixed media piece. Bass wood burned by pyrography to look like an alien planet. 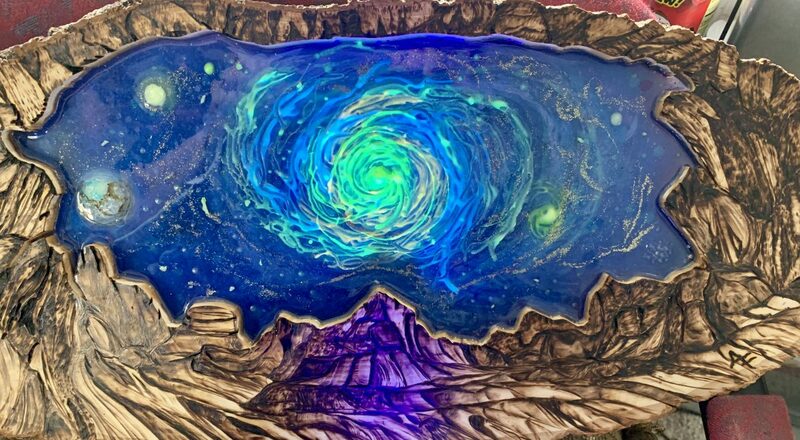 Galaxy and stars are layers of resin and phosphorescent media.